YOU MUST TRY Jörg Meyer’s Hamburger gin, Alex Kratena informs me hours before I travel to Hamburg, principally to visit Meyer’s bar, Le Lion Bar de Paris. It seems a reasonable suggestion. These days there are few ingredients one couldn’t picture passing through a rotovap and labelled up as ingestible spirit. And after all, this is Hamburg we’re talking about – where else might you find a Hamburger spirit? Meyer, bouncing on his heels in a way that seems inconsistent with his stature, happily takes me through the project, which was in collaboration with Simon Difford and Gin Sul. He shows me a video of the production, which features the distillery’s Stephan Garbe in serious discussion with Meyer and Difford about how the gin should be produced – the conclusion is distilled patties of beef, and tomato and onion as botanicals – and tells me how it appeared on diffordsguide.com on April 1. This is typical Meyer. He is professional – he glides across the plush carpet of Le Lion in his banker garb, orchestrating the sophisticated ambience, silently extinguishing hitches before they happen – but he is a wise-cracker too. He is a serious man who doesn’t take life too seriously. Meyer is bartending aristocracy in Germany, but he took the long road to eminence. Growing up in a guest house in Saxony, even at age six he knew a thing or two about hospitality. By early adulthood he had fixated on cocktails – the classics, which in the ’90s were only just poking their heads through the fruit bowl. He was an avid reader of cocktail books until the internet changed everything. Not just in terms of the rise in information available, it also eventually provided a platform for Stephan Berg and Meyer’s groundbreaking Bitters Blog, which took on cult status in Germany. Meyer opened a few Hamburg bars before he eventually launched the bar he would forever be known for. Indeed, one day Meyer’s epitaph will likely read: “Founder of Le Lion but don’t forget the Gin Basil Smash.” His 2008 creation was a simple, refreshing green drink that must now be considered a modern classic – certainly in Germany. The next year German ears were pricked. Le Lion followed up with a nomination in the world’s best spirits selection category. “Our philosophy at the beginning was to have very few bottles – we didn’t have the space,” says Meyer who, ever the straight talker, followed the nomination up by phoning the organisers to suggest the bar didn’t fit its category. That didn’t go well. Meyer has vowed to never go to Tales – a promise he has kept to this day. It wasn’t all happy times early on. Meyer says Le Lion didn’t make any money in the first three years but, slowly, as it rose to fame, it became profitable. 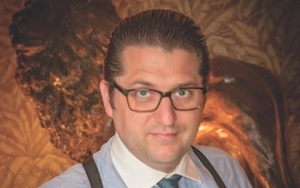 He owns a number of bars now – Boilerman opened in 2012 (a kick-back and knock-back kind of place, the opposite of Le Lion) and Boilerman Hafenamt in a hotel. Now a statesman of the German bar landscape and dripping with accolades, meyer says he still doesn’t take awards seriously. “they’re just fun,” he says. and so is Meyer, not far beneath that banker’s suit and serious sense of professionalism.